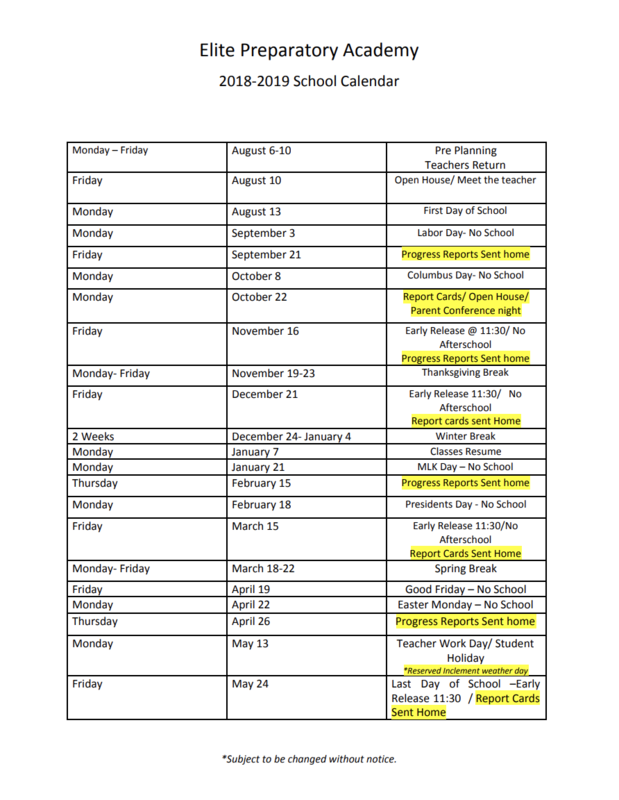 We have many forms to assist our staff here to better comfort your child as well as information that will provide excellence in the safety of your child. 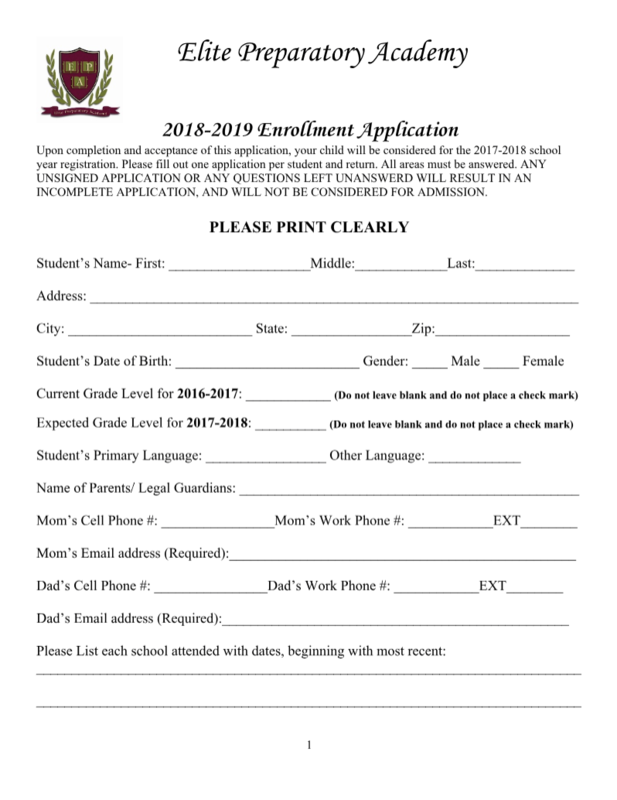 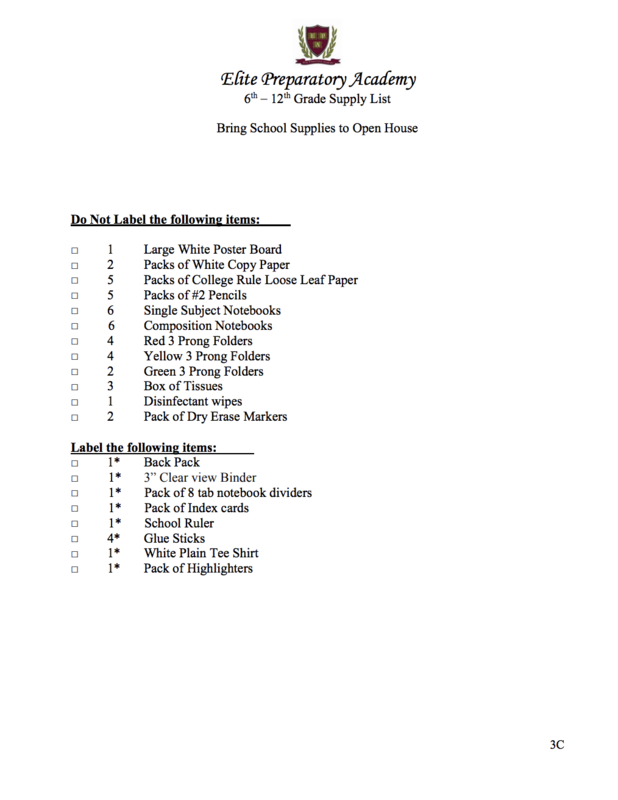 Please click on the links below to access the forms that you will need to fill out completely in order for you to complete and assist your application for admission here at Elite Preparatory Academy! 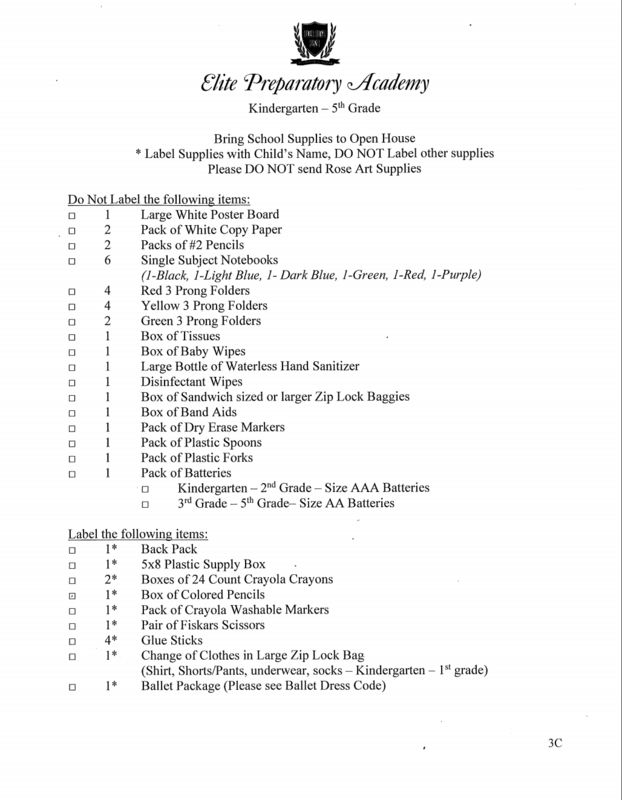 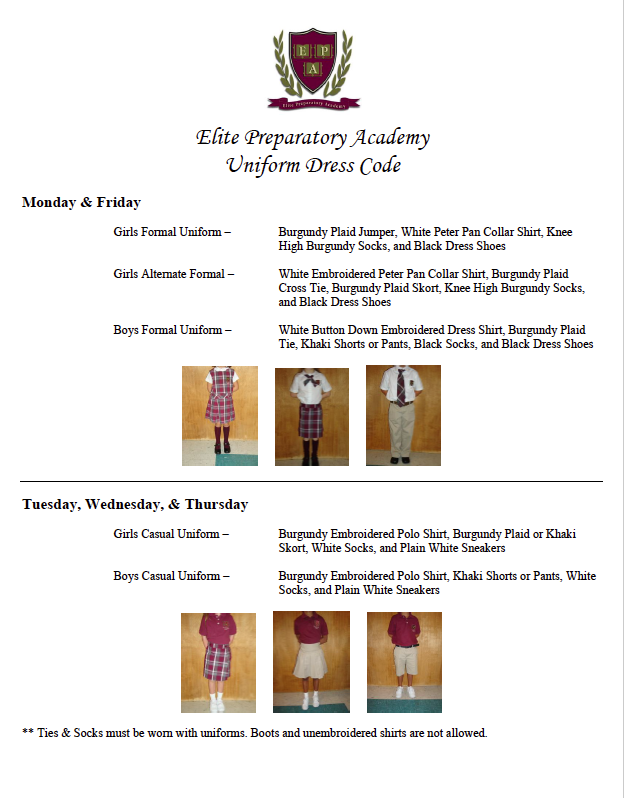 School uniforms can be ordered at www.elitepreparatoryacademy.epluno.com Please remember Kindergarten through Eighth-grade students wear uniforms Monday through Friday with Monday and Friday being formal days.